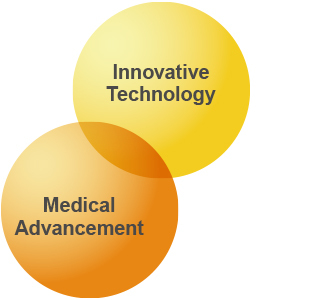 About Cyfuse – Cyfuse Biomedical K.K. “Cyfuse” is created name by combining “Cyto” and “Fusion”. This symbolize tissue regeneration as well as fusion of biology and engineering. 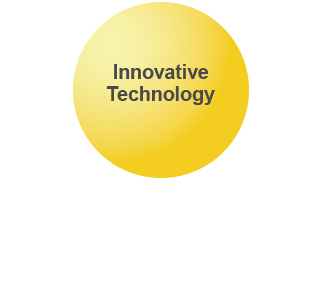 Our name also contains our passion to improve quality of people‘s life by innovation. Three spheres visualize our tissue fabrication technology, which is done by stacking cell aggregate. Each color has its own meanings as below. All paralyzed patients wish to walk again. All parents wish to save baby born with congenital heart disease. There are so many unmet needs all over the world of who suffer from intractable disease. 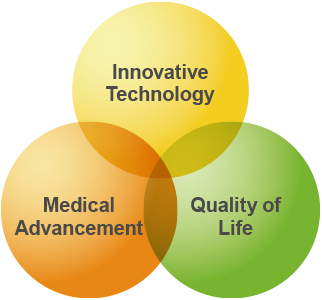 Our wish is to develop innovative method to cure these diseases through our 3D tissue fabrication for regenerative medicine / Tissue Engineering, and drug discovery. Dr. Nakayama received his Ph.D. degree from Kyushu University Graduate School of Medical Sciences. After gaining several years of experience as a clinician, Dr. Nakayama started his research in regenerative medicine during a doctoral course at the Department of Orthopedic Surgery. Using the fracture healing process for technology development in tissue engineering, he invented a method of fabricating various types of tissues solely from living cells. Since 2015, he has been a Professor at Saga University, Faculty of Medicine　Department of Regenerative Medicine and Biomedical Engineering. Since 2014, he has been AMED Project Leader.